Steve Jobs - One Last Thing premiered November 2011. 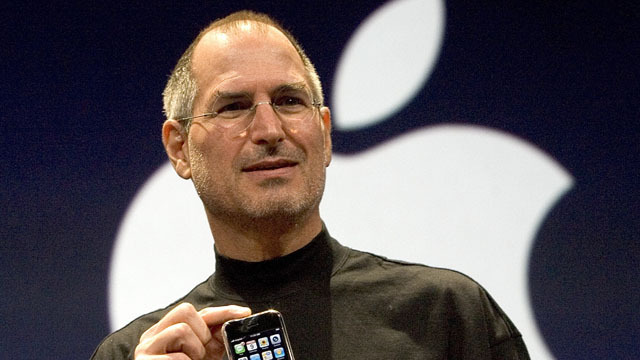 Preview for the documentary about the visionary co-founder of Apple, Steve Jobs. Few men have changed our everyday world of work, leisure and human communication in the way that Steve Jobs, Apple's former CEO, has done. The scope of his impact was evident in the outpouring of tributes from around the world — voiced on Twitter as well as through makeshift memorials in front of Apple stores — following his death, from complications of pancreatic cancer, on October 5, 2011. Steve Jobs – One Last Thing not only examines how his talent, style and imagination have shaped all of our lives, but the influences that shaped and molded the man himself. Steve Jobs. Courtesy of Getty Images. The documentary takes an unflinching look at Jobs' difficult, controlling reputation and through interviews with the people who worked closely with him or chronicled his life, provides unique insight into what made him tick. Among those interviewed for the film are Ronald Wayne, co-founder of Apple Computer, Co. with Jobs and Steve Wozniak; Bill Fernandez, who is credited with introducing Jobs to Wozniak and was also Apple Computer's first employee; Robert Palladino, calligraphy professor at Reed College whose classes Jobs acknowledged with inspiring his typography design for the Apple Mac; Walt Mossberg, who covered Jobs as the principal technical journalist for The Wall Street Journal; Dean Hovey, who designed the mouse for Apple; Robert Cringley, who interviewed Jobs for his documentary Triumph of the Nerds; and Dr. Alvy Smith, co-founder of Pixar Animation Studios, which Jobs acquired in 1986. In addition to those who knew and worked with him, Steve Jobs – One Last Thing features a never before broadcast, exclusive interview with Jobs. Speaking a year after he was first diagnosed with cancer, Jobs expounds on his philosophy of life and offers advice on changing our own life to achieve our ambitions, desires and dreams: "Life can be much broader once you discover one simple fact, and that is, everything around you that you call life was made up by people that were no smarter than you ... the minute that you understand that you can poke life ... that you can change it, you can mould it ... that's maybe the most important thing." Steve Jobs – One Last Thing takes its name from a catchphrase Jobs used to tease and titillate audiences at the many successful publicity launches he helmed for the ever evolving Apple product line. Appearing to reach the end of a presentation, he would then announce to the expectant crowd: "Oh … one last thing,” before unveiling the company's latest design achievement. Steve Jobs - One Last Thing was produced by Pioneer Productions. © Pioneer Productions. All Rights Reserved.